Want to share your thoughts with Lois? Click Here to leave feedback. they are my favorite series! I have read them all multiple times! …. more about the Vikings, and they have become a great interest for me! could have come to my state! a movie or movies, I dream of playing Bree! …. Maybe someday…. Tusen Takk for writing such great books! have such wonderful books and I admire you so much! novel, Escape into the Night, about Christmas time 2014.
on to all of her friends, who can’t believe she read a book and LOVED it!!! way, give me a shout! children Kate (my 4-month old) and her Anders (9-months old). a very inquisitive child already. north wood series and I really like them. I really like to read. Christian book to sit down and read. my books. I read them over and over! one of your Gr8 books! I am really enjoying them. Thank you so much for writing them. ever think that there will be a movie made of it? I would love to play Bree!! Thanks for writing such good, Christian books! starters? I need some help. If you can please email me back and let me know. www.LWJbooks.com for more ideas, okay? the underlying message of trust in God that was communicated through the books. books hold an immense power over children that many authors do not realize. and learn to love others. captivating plots, characters, and settings. series of books you have written. for using your gift to honor the Lord and bless so many people like myself. — I dreamed of being a conductor in the Underground Railroad. the 1800s — have come true. continually did the right thing until a better world was theirs. and freedom we believe in. and join me in my own real life adventures. What fun it is to hear from you, Josie! Big thanks for all the great things you've told me. by the way you explain things! Thanks for writing, and I deeply appreciate what you are doing. Because my husband is also a teacher I value your comment. But I don't know how to change a story to no hyphenation. It becomes an editing problem--the amount of room on a published line is automatic as far as I know. Sorry-- but and I hope you keep on keeping on, okay? I live in Germany and I´m 15 years old. I like your books so much. Especially the Adventures of the Northwoods. When I had read all 10 books, I was so sad that I just decided to write the eleventh book. I have little time, so I'm only about 40 pages. I wish it would be as good as yours. Especially great I would find when the Adventures of the Northwoods books would be filmed. I would have a great title song: Tennessee by Pearl Harbor. But I know, that you can´t use it, because it`s for the film Pearl Harbor. I have a question, would you write even more books of the series Adventures of the Northwoods? I would be very happy if you write me back soon. I wish you God's blessing and protection. I'm delighted to hear from you in Germany and to learn that you like the Northwoods books. Sorry, but I can't write more of that series at the moment because I need to finish other projects. I think it's great that you've written 40 pages. The more you write the better it will be! Right now CLV is publishing another series called Der Abenteuer Fluss. My story family lives on a steamboat and travels up and down the Mississippi River. They have many exciting adventures. The first book in the series is called Flucht in der Nacht. I believe you'll enjoy it! Right now I'm finishing up a study guide for the Viking Quest series. Then I plan to research and write something new. Thanks for asking! My name is Erin and I am 14 years old. I love your books! I wanted to write you a letter, but can't find your address! Please tell me how I can get a letter to you! Hi Erin, look for the contact form that's on this website and please use that, okay? researching the stories and characters in the Republic of Ireland, Northern Ireland, and Norway. I can't promise what I'll do next, and I need to finish a study guide for the Viking Quest books. When that's finished I'll tell you about it online in case you want to use it for classes. Then I need to pray about what novels I'll write. OK? Hello Mrs. Johnson. I wrote to you two years ago about the series Viking Quest. I am now 14 years old and I continue to read your books. I have read Viking Quest 3 times and I find it more thrilling every time. They have inspired me to strengthen my faith and to be a light to the nations. I would love to visit Ireland when I am older especially since my ancestors are from there. I do have one question for you. Are you ever going to write a sequel where Bree and Mikkel get married? I would be overjoyed if you did. If you don't that's okay I will continue to read Viking Quest until I am too old to see the words. And if that happens I will have someone read it to me. Thank so much for writing these books! Thank you, Olivia, for writing again. It means very much to me that you've read the VQ books 3 times and find them more thrilling each time. Even better, that the books have inspired you to strengthen your faith and be a light to the nations. Do you know the verse Ps.2:8? It would be a great one for you to pray because of the way the Lord is strengthening your faith and encouraging you to be a light to the nations. I loved writing the VQ books and found it a great privilege to research them. When I traveled to Bergen, Norway, I wanted to ride the Funicular (looks kind of like a railroad car that goes up the side of the mountain above the city). But it was being repaired that day so I needed to hike up and down and all around. But that's how I discovered what Bree and Lil could do! And why it was hard to find them. Isn't that fun? I can't promise if I'll write more VQ books, but I need to finish the study guides for the 5 novels. When I have them ready I'll tell about it online so that you and others find out, okay? Thank you, Amelia. 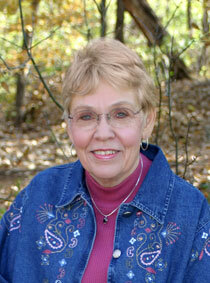 I'm so glad that you like the Freedom Seekers, Viking Quest and Northwoods series. Because you have read all those novels I immediately feel as if I know you and that you are my friend. Each time I finish writing a series I, too, would like to keep on telling about the characters! Thank you for understanding. I am over the moon with your Viking Quest series. Every one of them is special and wonderful! I really thought it was cool that you included many moments of prayer and spiritual moments in all of your books. I am a Christain as well and all of your books encouraged me in my faith. I go to a public school where many kids aren't Christains. The Viking Quest series helped me to grow and be stronger in my faith. I am now moving on to the Freedom Seekers series and am very excited! My mother ( Paula) recently wrote a email to you about curriculum. I would be very grateful if you would please reply back. I thank you for writing your wonderful books and am very appreciative. I'm so glad that you like my Viking Quest series and that they've helped you. When I researched them in Ireland and Norway the Lord did some really fun things. In Ireland it can often be raining and I needed to walk everywhere or take public transportation. But when I was walking or waiting for a train I never got wet once! Then I would step inside somewhere and it started pouring. And when I was inside and needed to go somewhere it stopped raining! Tell your mom that as soon as I finish some other work I plan to finish a study guide for Viking Quest. My name is Makenna and I am 13. I love your freedom seekers books sooooooooooooooooooooo much!!!! You did such a good job with everything!!!!!!! I have recommended this series to numerous friends and they all LOVE them!y friends and I would LOVE it if you would write another book about Libby and Caleb!!!! I can't wait to try some of your other books!!! I love your Adventures of the Northwoods! (In fact, there's one right next to me now which I just finished reading for the 15th time since we got them from the library). I can relate to Kate of that I am horse crazy, and I've also got a teasing brother too! The books really helped me in my Christian faith (and I'm glad to know I'm not the only person that is curious!) As with all good books, I wish the Northwoods series would never end. I'm glad that you're horse crazy like Kate. And I'm also glad my books have helped you in your Christian faith. And yes, I am curious too. When I start wondering about how to write a story my curiosity helps me find out! I'm so glad that you like horses, too, and that the Northwoods mysteries have helped you in your Christian faith. Thank you for being a thank-you-so-much reader! My english is very bad, but I have a question. Can I buy an audiobook of Abenteuerwälder or other books from you? I would like to improve my english whit the audiobook + book in english. I think your English is great. Can you imagine what it would be like if I tried to write in German? Thank you so much for writing the Viking Quest series! I really enjoyed them. Can you please write more books about them, maybe from Bree and Mikkel's kids' perspective? I would like very much to read more about them. I also like the Adventures in the Northwoods series. I have Disaster on Windy Hill, The Runaway Clown, and a few others, but the rest I got from our local library. I like reading about Kate and her friends. I've only read a few Freedom Seekers, but they are also very good. Thank you, Leona! You warm my heart and make me want to keep writing! Thank you so very much for your books! I know you must have heard this a thousand times ,but I really can't tell you how much I L-O-V-E them !!!!!!! Thank you so much for making God real in your books and helping me realize, if I draw near to Him, He WILL draw near to me !!!!! I can't tell you how much I admire you , in allowing God to use you in such a WONDROUS way !!!!!!!!! You are a very creative,special , and wonderful writer ! Thank you again with all my heart for your books !!!!!! They have taught me a lot ! Laura-- Thank you so much for the heart you have for what is really important. Yes, I want to make God real. I want young people like you (and everyone) to know that when you draw near to the Lord he does draw near to you. I treasure how you have said so many important things. And I keep praying about what I should write next. In case a few people wonder, I wrote the Northwoods series first and then the Riverboats. When I had the opportunity to write study questions published in each of the 6 Riverboat novels, I changed the series title to Freedom Seekers because it helps us understand the Underground Railroad story and also our Constitutional freedoms. Thank you so very much for your books! I know you must have heard this a thousand times ,but I really can't tell you how much I L-O-V-E them !!!!!!! Thank you so much for making God real in your books , and helping me realize if I draw near to Him ,He WILL draw near to me !!!!! I can't tell you how much I admire you , in allowing God to use you in such a WONDROUS way!!!!!!!!! You are a very creative, special ,and wonderful writer !!! Thank you again with all my heart for your books !!!!!! They have taught me a lot! Thank you for your lovely letter. You have such a good heart in what you know about the Lord. Thank you for telling me that God, your Father, is very special to you when you trust in Him and Him ALONE! For other readers who might wonder, the Riverboat Adventures are now out with a new series title... When I had the opportunity to write study questions to help people who want to use the books for school/home schooling, I changed the series title to FREEDOM SEKKERS. If any of you read German, the first two books in the series have also been translated into German and the third will be out soon. I'm so sorry for sending the same email again and again . For a while it seemed like it wasn't going through - it must have seemed kind of funny to get all those - OOPS . Also , I was just wondering if you received my letter ? Have a great day and wonderful Easter !!!! Yes, I received your letter, but can't post it unless I know whether you need a parent's approval. Are you saying now that you are 18 or older? Greetings from Australia!  I am a 15 year old, who recently had come across your ‘Viking Quest’ novels through Koorong (Christian Bookshop). I bought the first book for my younger sister (12 years old) for Christmas and she loved it! We both have read the 5 books and thoroughly enjoyed them! In our world today it can be hard to find God-centred, motive-filled, encouraging and positive literature for young adolescents. I found your Viking Quest Series to be all of these as well as highly emotive, engagingly descriptive, extremely attention-grabbing and adventurous. I saw the historic side of the novels as a very vital part of these series and I thank you mightily for taking the time to research the background period and historic events that are included within this series. The structure of these novels were outstandingly written as life was breathed into all the characters - they all individually possessed definable traits which helped the reader fully engage with the stories. The climaxes were exceptionally captivating, and since I have a love for adventure, suspense and drama, this series totally suited my personality and reading genre. Thank you for your blessing of wonderfully-created literature in our world. I really appreciate all you do and wish with all my heart that you will continue to write adventurous God-centered novels that will touch and transform all those who read their lively, attention-grabbing stories crafting within the pages. May God abundantly bless you in all that you do. If you are able, I look forward to hearing your thoughts on my pleading request. A thousand thanks, Clarissa, for this message and your second one. I deeply appreciate everything you've said. While writing the Viking Quest series I had the privilege of researching in the Republic of Ireland, Northern Ireland, and Norway. I am deeply grateful for the books I could read, the people who talked with me, and the authorities from 6 countries who also helped me. Most of all, I'm grateful for the way the Lord inspired the story and helped me write it. Clarissa, you have a wonderful ability to express yourself in writing and I hope you keep on writing! At Christmas I got the "adventures of the northwoods"-series. I read it over and over again. It's hard to write a book, that is appealing to boys and girls of every age. You did a very good job, I want to thank you. I am from Germany (please excuse my english, I'll do my best :-)) and as I heard, that there is a new translation of another series, I felt really joyful! I enjoyed every word of the first novel of "the freedom seekers". I was really sad, when it ended. Impromptu I bought the other books in english. I was surprised that I understood the whole series. I like the story so much, yes the freedom seekers and the adventures of the northwoods were the best books I ever read (except my bible, of course)! Thanks a lot for writing good, Christian literature. I love the way Christian virtues like courage, honesty and trust in God are worked into your novels. Also it shows how good relationships between boys and girls should be. I learnt to trust the Lord, I learnt to make good choices and how to be a girl that looks at the inside and not at the latest fashion or a nice face (like Libby at the beginning). PS: I will buy the Viking Quest series too. Since I read Freedom seekers in English, my mark at school is better! Lina-Marie, what a privilege it is to meet you! Thank you for liking my books. Thanks, even more, for being the person you are! And you don't need to worry about your English. You are very good, not only at reading English, but also at writing it. Thank you for calling yourself my little sister in Christ. I believe you're my BIG sister in Christ!!! What fun that is! Isn't it fun that you not only like reading about Kate? You also look a lot like her and love to ride. YOU are a gifted person for writing and encouraging me! Your book discussion with a couple of your grandchildren sounds great! And I'm sorry that the note about a VQ study guide got into the back of Raiders from the Sea before the guide was completed and published. Right now I need to finish some other work, but I'll do my best to catch up. I strongly suspect you might have some of your own great ideas for study questions! Thank you, Amy, for being a huge fan of my Viking Quest series and for using it with your history curriculum to teach about the Viking period. You've asked a great question! For all of you who are wondering, Amy is talking about something that happens in the first and second chapters of the first novel in the series, Raiders from the Sea. Bree meets a strange boy who pronounces his name in a different way than how the Irish would pronounce it (Mee-HAHL). And why does that become a clue? The Norwegian spelling and pronunciation: MIKKEL pronounced MIK-el. In both countries the meaning for Michael is the same: Who is like God? When I received the go-ahead from my publisher for writing this series I had the privilege of traveling to Norway, the Republic of Ireland, and Northern Ireland to research. I had often heard about the frequent rain in Ireland, and I needed to either walk or take public transportation. But one of the very special gifts I received from the Lord was his watching over my travel. When I had to walk it didn't rain. When I stepped inside a building, it poured. When I needed to go out again it stopped. Over and over this happened. I never got wet! Hey, Maria, it's fun to hear from the Adirondacks in New York! Thanks for loving the Viking Quest series. Thank you for asking! Yes, Jennifer, I want to continue writing. I'm still thinking and researching about what I want to do next so won't say more until I have something ready and accepted. Hi Maya-- Help me out. Which series do you mean? Whichever one it is I'm glad you've read them at least 3 times! You should consider writing a sequel to the Freedom Seekers. I have read that series 5 times now. They are sooooooooooooooooooooooooooooo awesome. !!!!! I have a letter written but I can't find your address. How can I find your address? Thank you, Anna, and your name is the same as my middle name! Thanks so much for liking the Freedom Seeker books. I'm glad you felt like you were there with the characters. That's the way I start feeling when I write stories. And here's a writing tip for everyone: If you know your characters really well you start knowing what things they like to do and how they think. Then you start knowing how they will act and it's easier to write about them. It's like telling a story about a friend. Hi! I really enjoy your books. I have a few questions for you. How did you go to Ireland? How did you learn about the names Bree, Mikkel, Sigurd, and Devin? Did you find them in books? They are really interesting names. I am a writer too. Can you tell me how I can learn how to create my own Irish and Viking names? Would you ever consider having your books made into audio books? Have you watched the new Viking show on the History Channel? Do you know anyone who makes Viking swords and jewelry? Would you ever consider putting sword fighting in your books? Hi Chris-- I'm going to take your questions one by one. Going to Ireland: I wrote a proposal for the VQ series and when my publisher gave me a go-ahead I wanted to continue my research by traveling to Ireland and other places I planned to include in the series. You can create your own Viking and Irish names by knowing Scandinavian and Irish people. Also check out the book, The Melting Pot Book of Baby Names that I talk about in another reply I give on this site. Be sure your names work for the time period about which you write. Many of my books have been made into audio and e-books. Sorry, no, I haven't watched the new Viking show on History Channel. It's been a really busy year for me. Do I know anyone who makes Viking swords and jewelry? I don't personally, but check out what I say in my blog about the Scandinavian Shop in Alexandria, MN. They would know what to tell you. I am working my way through yet another reading of your Freedom Seekers Series. Thank you for writing wholesome, adventure-filled books like these. You not only point people to the truth, you give them food for thought. The question this series raises for me is: are you willing to risk everything for what you believe? In today's society where passivity is encouraged, we need the same convictions and bravery that Capt. Norstad, Caleb, Libby, and Jordan possess. Though the issues back in the 1850's were attacked in a different way, they are ideally the same as today--morality and freedom to be our own person. With so much of our media telling us to turn a blind eye to what is wrong, it's good to find books dealing with people taking an active stand for what they know is right. That's the type of person I want to become. And you're the type of writer I hope to become. Someone who writes with a purpose. If I ever marry and have kids, I will share the Freedom Seekers books with them and pray that it inspires them to stand firm in their beliefs, as it has me. Thank you for using your talents for God's glory. May you be richly blessed by Him. "With so much of our media telling us to turn a blind eye to what is wrong, it’s good to find books dealing with people taking an active stand for what they know is right. That’s the type of person I want to become....And you’re the type of writer I hope to become. Someone who writes with a purpose." And thank you many times over for your encouragement! May you continue to grow in understanding the Lord's ways and thoughts and using your talents for his glory! The Viking Quest books were awesome! These were the best books we've read in our homeschool ever. My sister and I kept asking my mom to read another chapter. We didn't want the books to end. Thanks for writing such exciting books. How fun! I'm so glad you like the VQ series! And I always love hearing that the series has been used in someone's schooling. Because I have always loved reading I'm very grateful when my books help others like you enjoy reading too! Hi Eva-- What fun! I'm so glad that the VQ books inspired you to make your own book! I like Bree too! By now she seems like my close friend. Isn't that great? I cannot express to you how much I love your Adventures in the Northwoods series. I have deeply enjoyed reading them over and over, finding little details about the characters that I missed in previous readings. I know that you have heard this multiple times over the years, but please continue this amazing series. I would love it if you continued where you left off and showed your readers young and old Kate and Erik’s courting relationship. I cannot express to you how much I appreciate the fact that your books have always shown healthy relationships amongst the characters. Books such as these are few and hard to come by. I feel as though if you were to continue this series with Kate, Erik, Anders, and Josie growing in healthy relationships it would influence my generation for the better. I barely go to the teen section of my library anymore because if I find a book that appears to be a good read, all the relationships are messed up. I find it so sad that that’s what my generation is reading. I feel that these books are part of the cause for all the confused relationships in my generation. I believe that what a person intakes from a book affects him or her greatly. I am really hoping that you will continue this series to help my generation and many more to come. You have experienced many more relationships than I or any other people in my generation probably have, and you could share your knowledge throughout Kate and Erik’s courting relationship. I know that I am just one voice, but that’s all I have. Once again I thank you for writing great Christian books. I know that if a book has your name on it, it will be fun, inspiring, and full of good Christian lessons. I thank you again for writing all of these amazing books. May God bless you in your future endeavors. Thank you, Ruth, for your lovely, encouraging e-mail. You have a wise heart and a strong voice. You are saying something very important to all of us who are writers. You are also encouraging your own generation to make a difference by developing strong, healthy relationships in whatever part of the world they live. write more FS books. I'll see what happens down the road, okay? I have read the adventures in the northwoods series , the freedom seekers and the Viking quest series and whilst they were all great, my favorite one was the Viking quest series . I have always loved Viking and Norse things so this series was perfect . I especially loved how you grew everyone up !! As I read I realized I was somewhat like Bree : stubborn , has a temper and even kind of how she had a really hard time forgiving mikkel . I am proud to say I have improved . So thank you for writing great books . I have a question : would you consider doing a mini series of sorts ? To continue the stories beyond the ending of the books you've already written? Because that would be the most fantastic thing ever !! Anyway I'm quite sure you are rather busy. What fun to hear from Germany! I'm delighted that you have read all 10 Northwoods books in German. AND that you want to read the series that is called Freedom Seekers in America and a title that is translated Der Abenteuer Fluss in German. The first two novels are out now, and the artist gives us a delightful view of the Mississippi riverfront on the cover.